Donna Evelyn Larson, 83, of Rupert, passed away Saturday, September 22, 2018. She was born on October 31, 1934 in Richfield, Utah to Marion Duane and Reva Henderson Mangum. She married Donald J. Larson on April 16, 1955. They had three children Darla, Rusty and Mary. They later adopted Mary and Robert, after Clint was killed in a car accident. 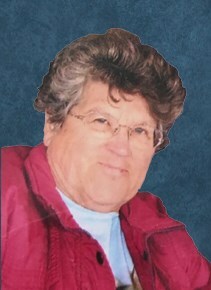 Donna loved the Church of Jesus Christ of Latter-day Saints and raised her family in the church and was a very active member. She was a member of the Daughters of the Utah Pioneers. She worked in the medical field as a nurse's aide and then as a CNA. She also taught EMT classes in northern Nevada. She enjoyed baking, quilting, gardening and canning. She is survived by her husband; three children, Darla (Rick) Mortensen, Rusty (Diane) Larson and Mary Larson-Davis; ten grandchildren, nine great grandchildren and two great-great grandchildren. She is also survived by her brothers and a sister, Elmer Jack Mangum, Gary Mangum and Natasha Horn. She was preceded in death by her parents and two sons, Clinton J. and Robert Larson. Funeral services will be held at the Church of Jesus Christ of Latter-day Saints, Acequia First Ward at 2:00 p.m. Saturday, September 29, 2018 with Bishop Sam Crane conducting. A viewing will be held for one hour prior to the service at the church. Burial will take place at the Rupert Cemetery immediately following the funeral service. Funeral services are under the direction of Joel Heward Hansen Mortuary.